HOLLYWOOD PRESS CORPS — OCTOBER 13, 2017 — American Honda Motor Co., Inc. and the Japanese American Cultural and Community Center (JACCC) present the mainland concert premiere of GRAMMY Award winners Tak Matsumoto and Daniel Ho’s new album, Electric Island, Acoustic Sea. 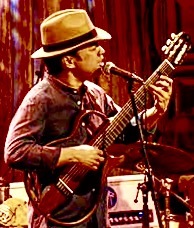 Following a sold-out 24-show tour in Japan and Hawaii earlier this year, Los Angeles audiences will be treated to two special events celebrating Gibson Guitar legend Matsumoto and ukulele virtuoso/multi-instrumentalist Ho’s debut album. First, the duo will kick off their mainland premiere with an intimate Q&A and exclusive live performance – An Evening With Tak Matsumoto and Daniel Ho – at the GRAMMY Museum in Downtown Los Angeles on Tuesday, October 10 at 8:00pm. 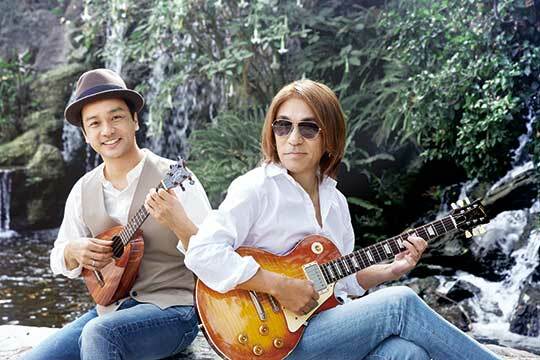 Then, four days later, a sensational live concert experience – Electric Island, Acoustic Sea – will rock JACCC’s Aratani Theater in Little Tokyo on Saturday, October 14, 2017. The performance will start at 7:00pm, and tickets range from $39 for balcony seating to $49 for orchestra seating. For additional information on the artists’ debut collaborative album, please visit. Tickets to the GRAMMY event can be found here and tickets for the Aratani concert can be found here. The prolific duo’s first project together – Electric Island, Acoustic Sea – which was greeted with widespread critical acclaim, debuted at #1 in Japan upon its release on February 8, 2017. In a role-reversal, the album channels Ho’s inner rock star and Matsumoto’s love for the relaxing pace of Hawaii.